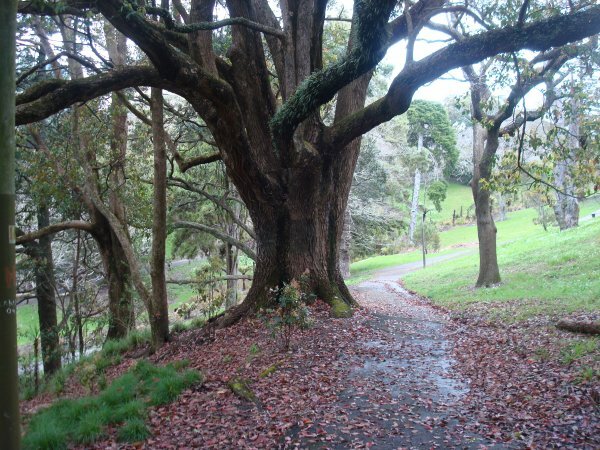 Ref: Historic and Notable Trees of New Zealand; Northland and Auckland. Forest Mensuration Report No.16, Oct. 1971 (unpublished), page 56. At the time of observation this tree has some deadwood throughout the canopy. Colour, vigour and density appear to be average taking into account the amount of leaves on the ground around the tree and the time of year. 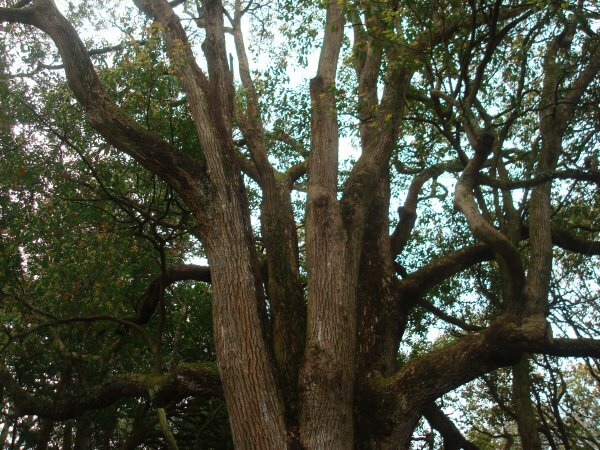 A stout trunk that branches out heavily at 2-4m from ground level. 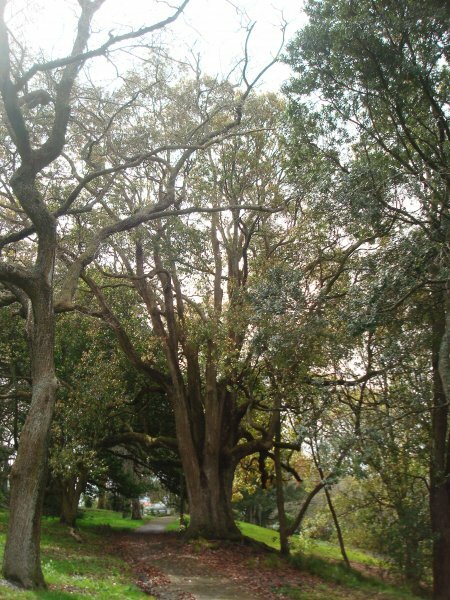 Centre of the park, towards the western edge, behind 17 Hepburn St.